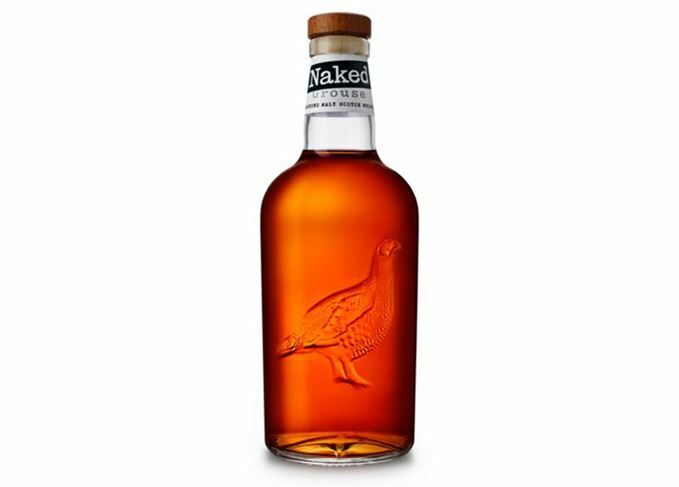 The Naked Grouse has been relaunched as a blended malt designed for ‘older millennials’ and will no longer form part of The Famous Grouse family of blended Scotch whiskies. First launched in 2011 as a blended Scotch matured in first-fill Sherry casks, The Naked Grouse was billed as a ‘smoother, sweeter’ addition to The Famous Grouse extended family. Now the expression is being relaunched as a standalone brand made from a selection of malt whiskies but without any grain, offering a ‘more robust’ flavour than its blended predecessor. Edrington, owner of Naked Grouse, said the change is being made in response to the increasing popularity of single malts, and demand from bartenders for an accessible whisky ‘with distinctive flavour’. ‘Malt whisky continues to rise in popularity with consumers and, by changing our blended Scotch to a blended malt, we can use the individuality and character of single malts and create a whisky that stands out from the crowd,’ said Elaine Miller, global marketing manager for Naked Grouse. Miller confirmed that the whisky will no longer form a part of The Famous Grouse portfolio, which includes Mellow Gold, Smoky Black, Black Grouse Alpha plus 16- and 40-year-old blends. ‘We’ve pulled it out of Famous Grouse, so it will be a brand in its own right,’ she said. ‘We are trying to make it as simple as possible by moving away from some of the stereotypes of whisky and doing something for older millennials. The new 40% abv Naked Grouse blended malt has been made from a selection of malt whiskies – including Glenturret, Highland Park and Macallan – matured in first-fill and refill American and European oak casks, and then finished in first-fill oloroso Sherry butts for a further six months. The blended malt is said to have notes of fudge, cooked apples and cherries, and is designed as a session whisky to be drunk on its own or with cherry cola. It will be rolled out to global markets from August at the same price of about £25 per bottle, and replace all existing bottles by the end of 2017. Further Naked Grouse expressions are also in the pipeline.